Last week I shared strategies to help become comfortable with videoing your dog training and reviewing video. It was a blog post that I hadn’t planned on doing a follow up on, as the intention was just to help with ideas for you on how you can embrace video as the great dog training tool it can be. However, there were some great tips and questions here on my blog and on Facebook, so this post is ‘part two’. It’s actually a blog post that YOU wrote over the past week so a big shout out to each of you! Hands down the winner for the question on what to use to video was phones, closely followed by tablets, followed by video cameras. I use a phone frequently to video my training. One of the tips shared was to keep your old phone if you update to a new one and use it for the purpose of videoing. There were many creative tips on this. Here are several to help. Many of you wanted to know what I use. Frequently it’s my phone in a GripTight GorillaPod Stand and I also use a Fugetek Selfie Stick Tripod Combination …. I’ve put the Amazon links to these here so you can check them out. The majority of us train alone so a tripod is a ‘must have’ piece of equipment. Tripods can be found online at Amazon/eBay, retail camera stores or larger chain stores. Using my phone in a GorillaPod on the floor to video is quick and easy. Claire posted that one of her barriers to videoing was the feeling that it takes away the momentum in her dogs to start and stop the camera, and this was echoed by several people. 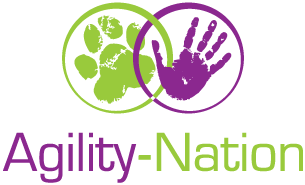 To help with this, below I’m sharing a sequence of stills from a recent workshop in Agility Nation where I was filmed, filming my training. This shows how I maintain the connection with my dogs. You might be wondering why I would put my video on when being filmed, but it is something I do all the time when it’s my dog training as it allows me quick review and to get the angle I want to see. I always set up my training area first with everything I need, including the camera. Then I warm up my dog (this is important even if you are not videoing your training). 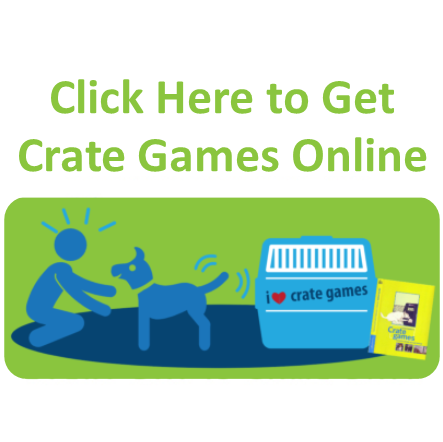 After the warm up, my dogs ‘hop-it-up’ to a bed or table like a Klimb, or go ‘in-yer-kennel’ (crate) … this is something my dogs have a lot of value for from the foundation of Crate Games. It is a trigger for fun, so it does not stop the momentum at all. It is then I turn my camera on, release my dog, and transition into training. As the training sessions are ‘short, fast and fun’ the video is not running for a long time. Often I have a timer on too. When I end the session, I send the dogs back to ‘hop-it-up’ and then turn off the camera. It’s all part of maintaining connection with my dogs… I would never just turn my back on my dog to go turn the camera off, instead I give them a job they love with “in-yer-kennel” or “hop-it-up”. Momentum has been warmed up and is waiting on the bed while I turn on the camera and the timer. Momentum is released from the bed and we transition into our training session. It was a 3 minute session that included balance breaks. Momentum goes back to her bed and then I turn off the camera. Review is important too, more on that below. The mechanics of starting and stopping your videoing are good to practice without your dog, so it becomes a natural part of your training. On that note, Mark shared two tips last week … “You can buy a Bluetooth remote shutter control. Just click to start video, click again to stop, from up to 30 or so feet away” and “Apple Watch also has built-in Camera app which will start & stop the video from your wrist“. A tip on reviewing video from Lynda is “Don’t wait to review! Review right away so you can adjust quickly‘” is one that will help and something I do. Make sure your dog is set first, and then you can review your training on your camera if it allows for that. Most modern cameras do. You might want to transfer the video footage to a computer later on for a more in depth review, but don’t delay reviewing your training while the session is fresh in your mind. This is where there are many possibilities, and it all depends on your system and your type of camera. There are many apps for video review; check out Coach’s Eye and VideoFramePlayer just to name two. It’s the same for video editing, there are many apps out there so find one that suits you. Search for your particular set up and find recommended resources and tutorials. If you are not sure how to get the video off your camera to your computer or to where you want to store it, search for that too. There is a world full of solutions and online tutorials that will help you. Ask your family, friends and training buddies for tips. Charlotte shared “if you establish a YouTube channel, you can upload your videos there and also run them slow motion“. On a video hosting platform like YouTube or Vimeo, you can make videos private if they are just for your personal viewing. There were comments last week that the technology of videoing and the mechanics can be a difficult and frustrating to master. Videoing can be a learning curve, but give yourself the chance to learn and become comfortable. Split this down into manageable components for yourself. Start with learning how to hold your camera up … whether it is your phone in a mug or in a tripod. Then learn how to turn the camera on and off. Then how to review the footage. Learn where to position the camera so you catch what you want to see. Learn how to transfer and store your video. Learn how to edit, starting with trimming front and back of your video. You can apply the 5C Pyramid of Success to your own learning and break it down into manageable pieces to protect your confidence. And if something goes wrong and you end up with 20 minutes of footage of nothing but grass, just know that you are not alone! Give yourself a chance. The more you do the easier it will become. Many people posted the benefits they have found to videoing once they got started, so I’ll leave you with three of those comments for inspiration. If you are videoing, what do you use to review and edit your videos and how do you store them? If you are not videoing, would you like to give it a try now? Let us know in the comments. Today I am grateful to you all for writing this blog post, and for all the great tips and solutions you are sharing about videoing, and for jumping in and giving it a go!